Yesterday, USAopoly made an announcement advertising its Harry Potter spin on the classic game of CLUE. 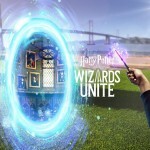 With Hogwarts as the setting, featuring our favorite rooms from the beloved Harry Potter books and films, fans can play as their favorite Harry Potter characters as they discover Who, with What, and Where a dark magic crime was committed (a Hogwarts Student was kidnapped–oh my!). 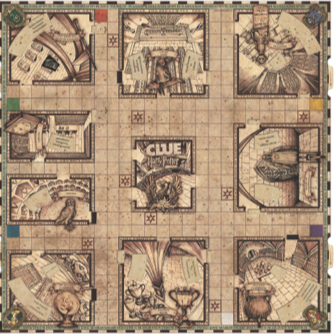 It is Harry Potter and the Wizarding World, of course, so there are a few tricks to this version of clue–passages and corridors that are open one minute, are sealed shut the next, like moving staircases. Players also have to be on the look out for the Dark Mark, which, as all fans know, causes trouble! A student has mysteriously vanished from Hogwarts, and Dumbledore needs a detective to crack the case! 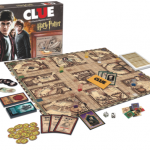 Now in Clue®: Harry Potter™, Harry Potter fans can play as Harry, Ron, Hermione, Neville, Luna or Ginny to uncover WHO made the student vanish, WHAT spell or item was used, and WHERE the student went missing. 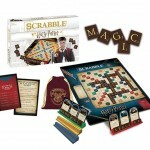 Released by USAopoly, under license from Hasbro, and in partnership with Warner Bros. Consumer Products, this fun game of magic and mystery combines The Wizarding World of Harry Potter with America’s most beloved detective game. Discover the culprit’s tool of mischief with one of six custom illustrated weapons. Did Draco Malfoy use the PORTKEY? Or did Bellatrix Lestrange cast the IMPEDIPMENTA Jinx? 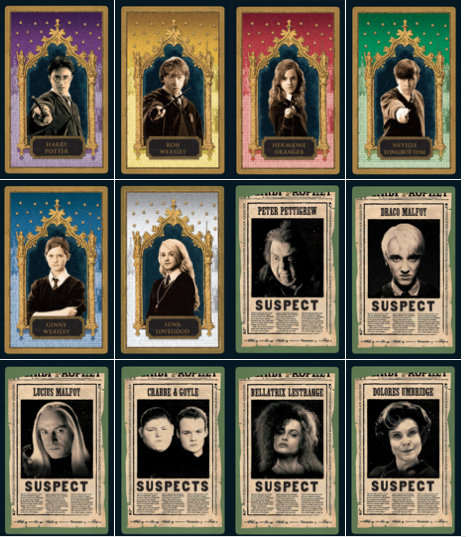 The colors of the original CLUE characters seem to be assigned to Harry Potter CLUE characters of the same gender. 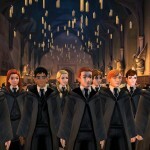 Hermione takes Ms. Scarlet’s place in red, Ginny is Ms. Peacock blue, and Luna is Mrs. White. Harry is a nice shade of Professor Plum, Ron a Colonel Mustard, and Neville is Mr. Green. Some of us are huge fans of those Help Cards…and the Mystery Cards! 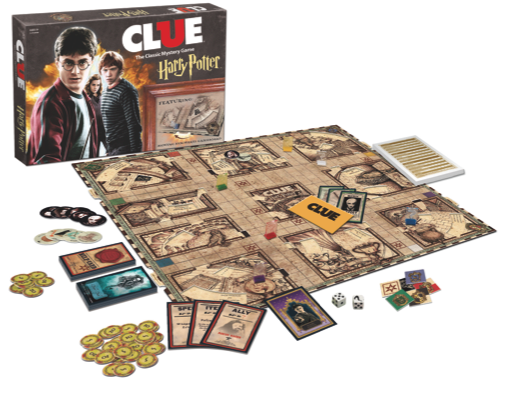 Harry Potter CLUE is available in the USA and Canada in many toy and game stores. If you’ve played Harry Potter CLUE, please tell us about your experience! If you have not played, hurry up and join in the fun!